Chiru's daughter Sreeja to do 2nd Marriage..? We are all aware that mega star Chiranjeevi’s younger daughter Srija got married to Sirish Bharadwaj in 2007. The couple was fine until few years and they even had a daughter as well. However, their marriage did not long last. They got divorced after Srija came out alleging that she is being harassed by her in-laws for dowry. As per latest reports, Chiranjeevi family is trying to remarry Srija. 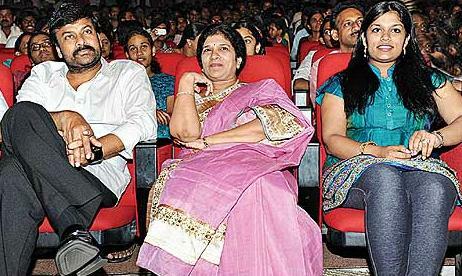 Chiru is said to be looking for a proper match for Srija’s second marriage. Apparently, the family has been persuading her in this regard for quite some time and Srija seems to have given her nod. Chiranjeevi is taking utmost care this time for a suitable alliance preferably for the groom who settled abroad. They also decided to do it in a simple ceremony without making much buzz in public.